CERAMIC BRIQUETTE ARRAY for 24″ Yakitori BBQ. 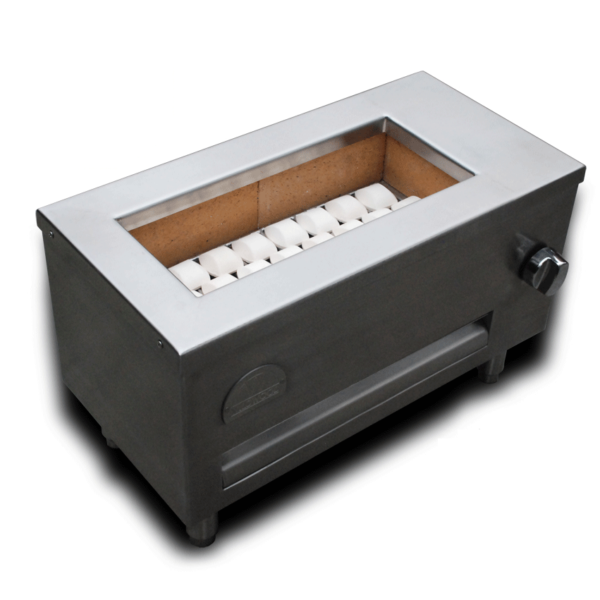 Wildwoods Ceramic Briquettes are made from highest quality ceramics made in America. These briquettes can heat up to over a thousand degrees, and are easily cleaned by simply turning them over to burn off residues. The very tight pores of these briquettes assure a pure and clean taste. They vaporize juices and drippings instantly to create a wonderful flavor on foods. Wildwoods professional grade ceramic briquette array for 40″ Each briquette measures 2 x 2 inches square. Package contains 28 briquettes.